IAU hosts lecture series, symposiums, and conferences each term with speakers from the IAU Faculty, Resident Fellows, Visiting Scholars, local community leaders, as well as experts in fields relevant to the current events of the region. IAU strives to remain active and engaged with the academic and cultural community of the region, and one way to achieve this is by maintaining an open and up-to-date dialogue for the student population. View the Spring 2019 Lecture Series Schedule here. 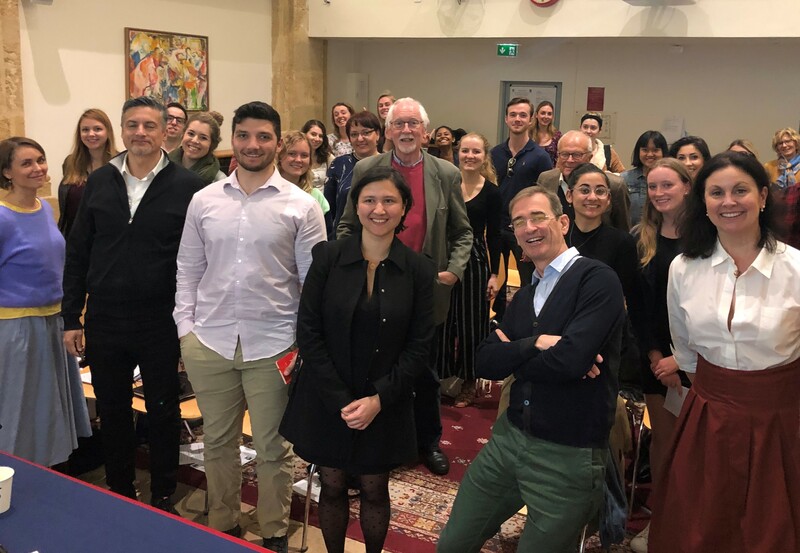 IAU/ACM hosted the annual student conference on New Threats to Democracy March 28-30, 2019 with keynote speeches by former Georgian Defense Minister and human rights activist Tinatin Khidasheli and French parliamentarian Delphine O. IAU/ACM scholars Prof. David Coombes, Prof. David Walker and Prof. Sebastien Llorca also spoke during this three-event designed to bring the IAU community together and raise student awareness of current issues shaping their world. Tinatin Khidasheli opened the conference with a discussion of how her country has struggled to build a democratic society while facing pressure from Russia. 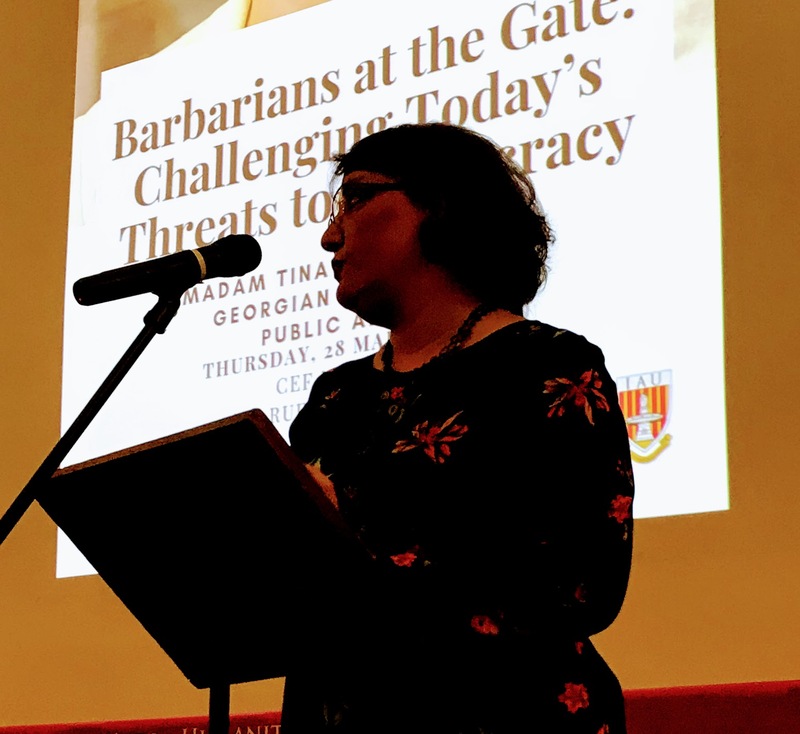 She stressed the need for inspiration to power democratic activism, and highlighted how un-democratic powers use new social media and connection technologies to undermine democracy. Delphine O, who joined the French National Assembly for the first time in 2017 as a member of President Macron’s movement, spoke of her work to promote participation in the upcoming European Parliament elections, and what it is like to move from civic activism to electoral politics. Both women made powerful calls for active participation in the democratic process as the key to dealing with the rise in anti-democratic forces in Europe. Prof. David Coombes explored the threat posed by ‘illiberal democracies’, while Prof. Walker presented perspectives from literature to inform and inspire the discussion. Prof. Llorca discussed how the stresses on human society arising from climate change could produce an authoritarian response that further weakens liberal democracies. ACM Master’s students helped organize the conference, and student respondents were a part of every panel. The conference closed with a half-day workshop where student groups analyzed the threats to democracy raised during the conference, and developed engagement strategies to confront them. 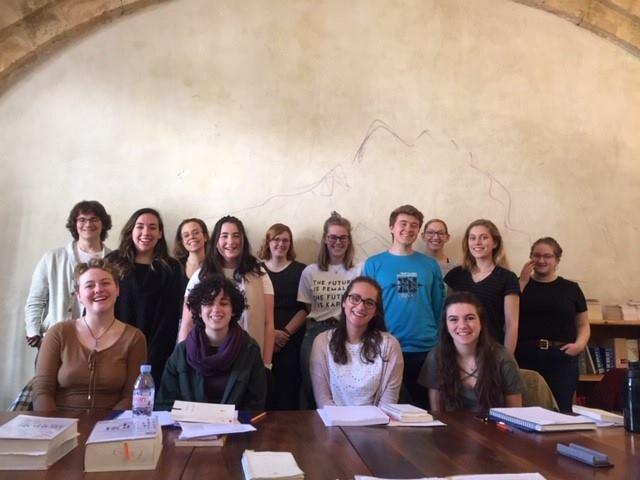 This spring semester, the French Honors Program welcomed 14 students from: Carthage College, Central Michigan University, College of William & Mary, Muhlenberg College, Towson University, Tufts University, University of Nebraska Lincoln, and Wheaton College. Bienvenue et bon courage, tout le monde! 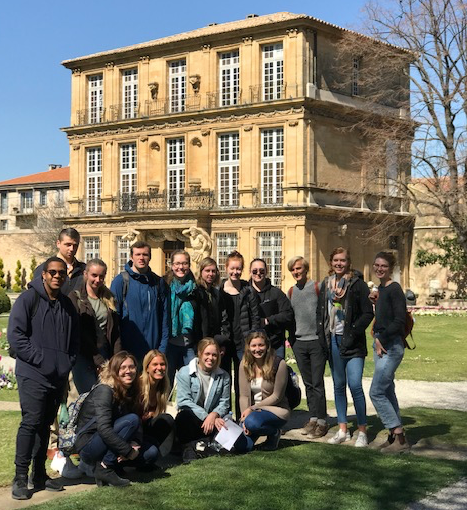 The Spring 2019 Creative Nonfiction class spent their class time outside at Aix's beautiful Parc Vendome. 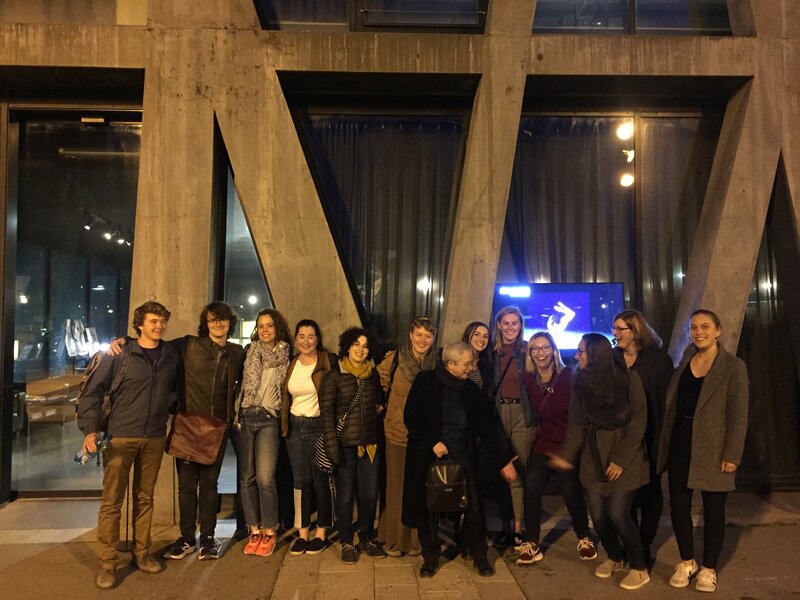 Led by Professor Cathleen Keenan, the Creative Nonfiction class goes on field studies throughout the region and hosts visitors to their classroom. Most recently, Becky Hagenston, Professor of Creative Writing at Mississippi State University and two-time winner of the O. Henry Award (for Short Stories of Exceptional Merit) visited the Creative Nonfiction class and read from her most recent collection of short stories, and discussed story and meaning with Professor Keenan's students. 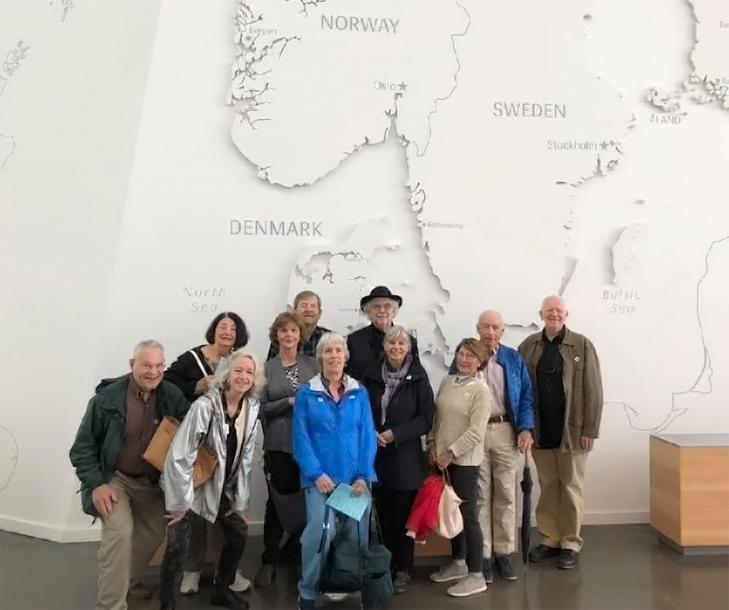 The 2019 January Term Traveling Seminars were a big success! IAU led 11 different programs that traveled to places like France, Morocco, Spain, Italy, England, Ireland, the Netherlands, the Czech Republic, Tunisia, and Gibraltar. In total we had 193 students experience high-impact learning during these rigorous seminar programs. These three-week traveling seminars are open to students of all ages and to alumni, as well! To learn about opportunities for J-Term 2020, please visit the J-Term page on the IAU website. 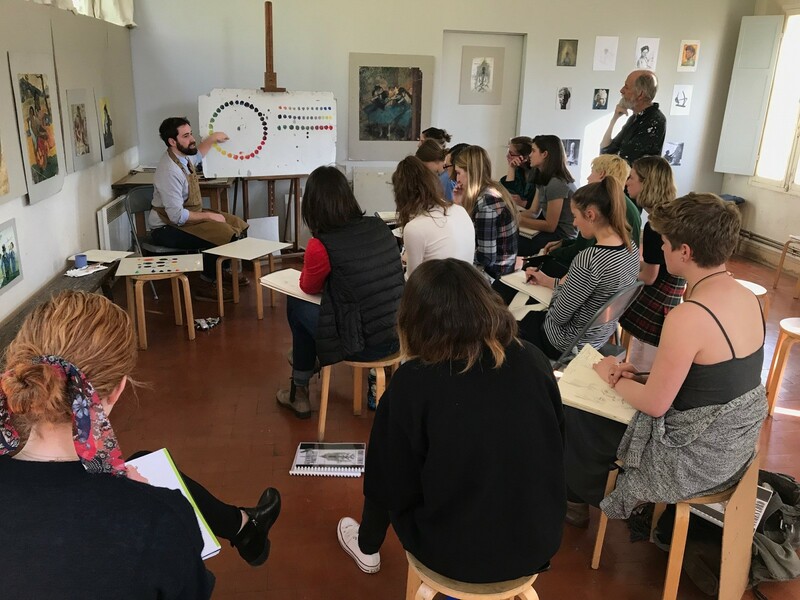 The Marchutz School of Fine Arts spring 2019 cohort has been busy this semester learning from Professors O'Neill Cushman, John Gasparach, Alan Roberts, Pauline Betrancourt, and Mary Hamilton. They have tackled life drawing, portraits, still life, landscape painting, and are now on the annual painting trip to Venice, Italy. ACM's Master of Fine Arts and Master of Arts in Art History students, along with the Core Arts Program and part-time Marchutz students combine to create a lively and focused bunch this spring. 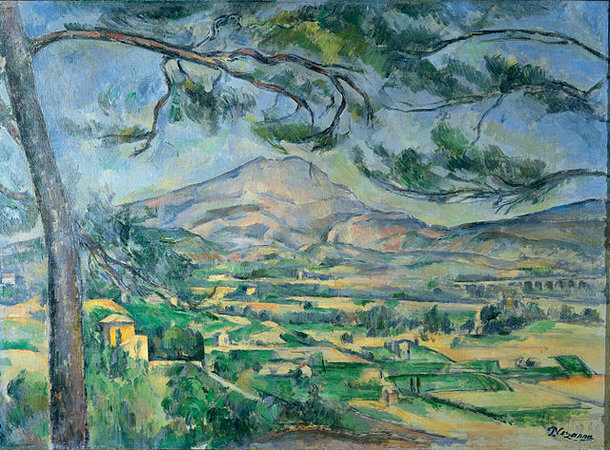 We would also like to congratulate Professor Alan Roberts who is now an associate member of the Societé Paul Cézanne in Aix-en-Provence. Did you know alumni can come back and take courses at the Marchutz School? Learn more at www.iau.edu. We would like to thank the alumni, guests, and friends of IAU who joined the IAU team at the home of Joyce McCarl Nielsen ('61-'62) this past Friday, March 29th for a special evening of sharing IAU memories and stories. Special thanks to the generous sponsors of this event, Joyce McCarl Nielsen ('61-'62), Steve and Barb McCarl ('58-'59), and Julie McCarl Brookes ('81-'82), without whom this event could not have been possible. 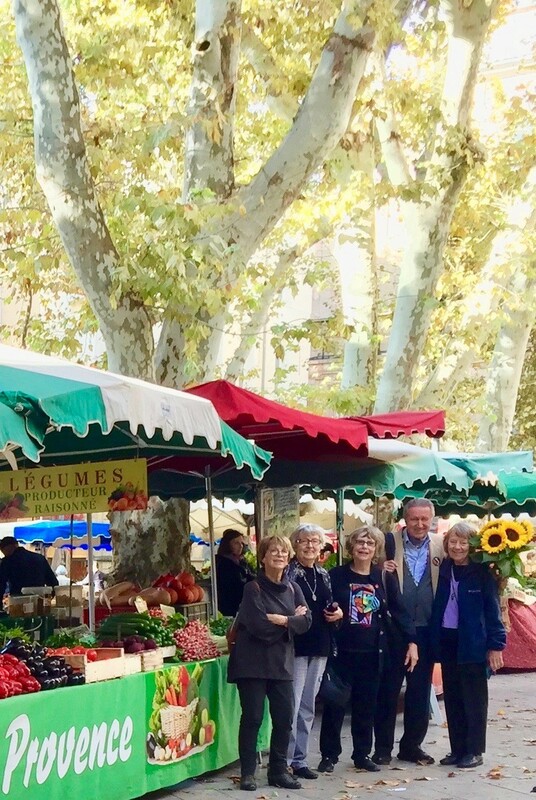 Aix-en-Provence is an enchanting place: beautiful fountains around nearly every corner, the Cours Mirabeau, rich architecture, Roman ruins, a Mediterranean climate, incredible fresh vegetables and fruits at the market every day. But what draws us back to Aix time and again is the IAU. The IAU makes Aix the home of our hearts. It is not just the current faculty, staff, students and Board of Trustees but the extended family of people associated with the IAU over its sixty year history. Once an IAU’er always an IAU’er. It is the extended IAU family that we love and cherish. So, here is a toast to the home of our hearts, The IAU in Aix-en-Provence. It was a wonderful event full of IAU love stories, reminiscing about shared experiences, and lots of laughter! It is always heartwarming to hear about the similarities that arise when alumni from different years and decades talk about their own particular experiences with the Institute. Thank you for sharing this evening with IAU! To see photos from the evening's event, please visit IAU's Flickr page. Thank you to all alumni, guests and colleagues who could join us on October 3rd for our alumni reception at the beautiful and historic National Arts Club in New York City. A special thanks to IAU alumna and Board of Trustees member Donna Manning, who generously hosted and sponsored the event. It was wonderful to hear stories from all of our alumni from across our 61-year history, and to see share some of IAU's newest initiatives with the alumni community. We were also very happy to have IAU Board President Marianne Keler, Board Member Lisa Anderson, and IAU’s own Yamina Boudellal in attendance. To see photos from the event, please visit the IAU Flickr page. 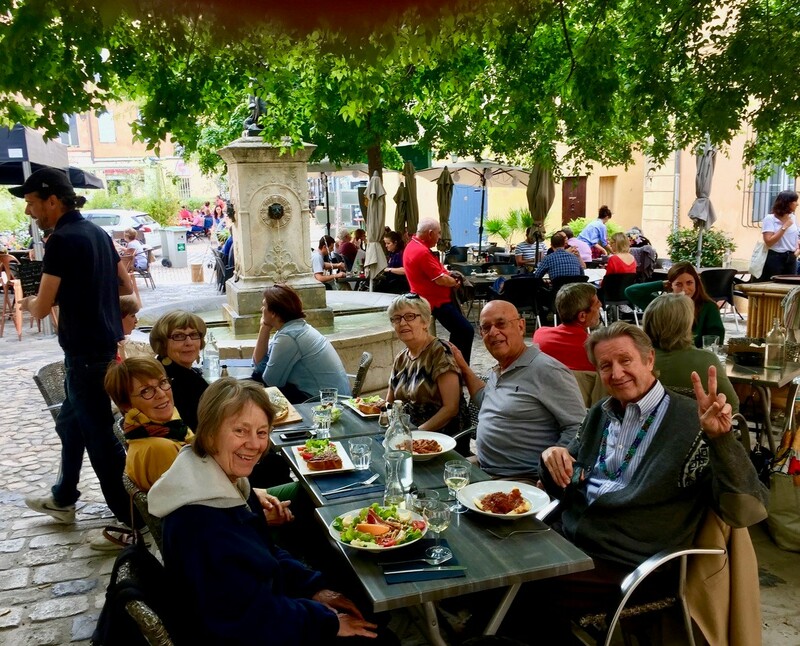 "Even though there were many change -- new construction, loss of trees on the Cour, wall to wall tourists which took some adjustment -- it was great to walk the streets of Aix again discovering that places where we lived and ate and had classes were still there. Thanks to Rudy in addition to visiting old hang outs like Le Grillon and Les Deux Garcons, we found new restaurants where we were able to enjoy great French food (much better than our meals at the Cite University Cafeteria). We shared many memories, laughed over our shenanigans as students (the ones we got away with and the few when we got caught). Certainly Dr. Maza’s hope of creating a place were American students could come to complicate their stereotypes was accomplished with us. 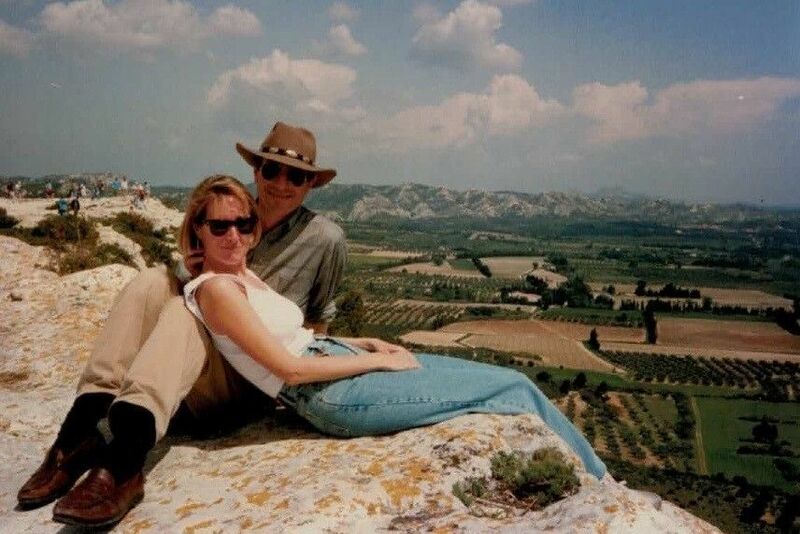 We all agreed that our time in France changed us and shaped the direction of our lives going forward. Without a doubt we see ourselves as not just Americans, but citizens of the world. "Seeing the metamorphosis of IAU from a one year cultural/education experience to a four-year degreed college (ACM) with several master's degrees was impressive. We were very appreciative of the time Muriel, Leigh, and Alan gave to bring us up-to-date on current and future plans for IAU. The new facility with its own library, modern classrooms, and even a coffee shop is much to be proud of as is the revamped art program and the separate French facility (Ici nous parlons Francais). It was all very impressive. However, without a doubt, we continued to believe that we the first full year class at IAU were special and we are all convinced... no other year or semester or degree will be able to match the impactful experiences we had sixty years ago as students in Aix. After all, we were the class that got to hear Camus lecture and sat at tables next to Picasso and Sartre at Les Deux Garcons. Our gratitude to Rudy for making it happen." To see photos from the reunion, please visit IAU's Flickr Page. Thank you for returning to your French alma mater, Class of 1959-1960! "It all started when Kevin posted about the Seattle Nordic Museum on our class Facebook page. The article said it was a must-visit museum. Gerd-Inger responded that it was a good reason for a mini-reunion in Seattle, and with that we were in planning mode. 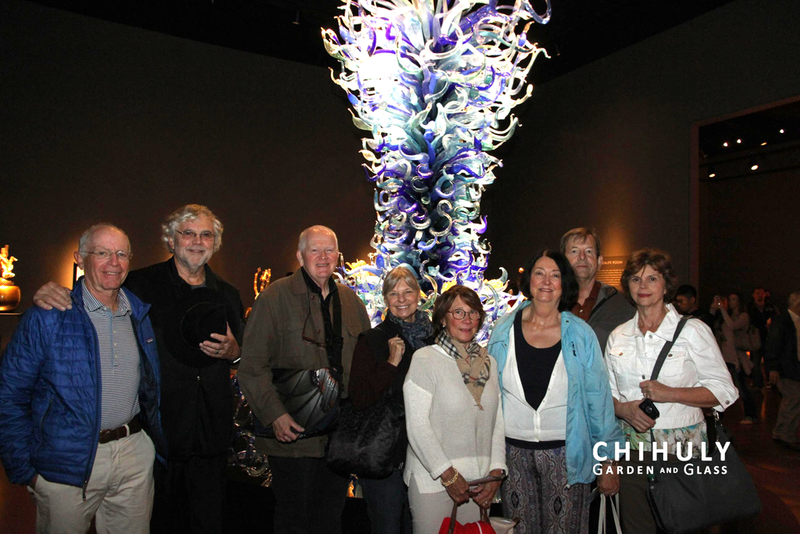 "The resulting mini-reunion was attended by 11 classmates and significant others. It started with a dinner at Gerd-Inger's house, then moved to a house we had rented closer to the downtown. From this base of operations we visited: the Nordic Museum, the Chihuly Exhibit, the Space Needle, and the Museum of Pop Art. We also visited the famous Pike Street market, took the boat tour of Puget Sound, and dined out at places well-known and not so well known. "In our quieter moments classmates read entries from their diaries, we looked at old pictures, and traded stories from our time in Aix. It's great to remember old times with friends from long ago; it's even better to have new adventures and form new memories with those friends." We love your enthusiasm for your classmates from IAU, Class of 1970 - 1971! Are you interested in organizing a mini reunion for your IAU classmates? Please contact alumni@iau.edu if you would like IAU's assistance. Interested in seeing your "La Cigale" yearbook from 1967-1968? Click here. 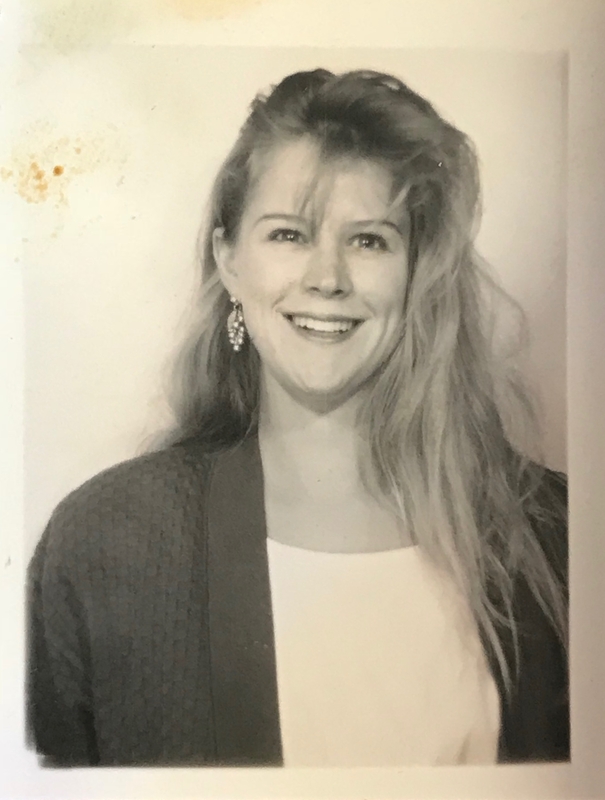 Renée Van Vechten ('89): "Then and Now"
Renée Van Vechten is a long-time resident of San Diego and has been a professor of Political Science at the University of Redlands for 14 years. 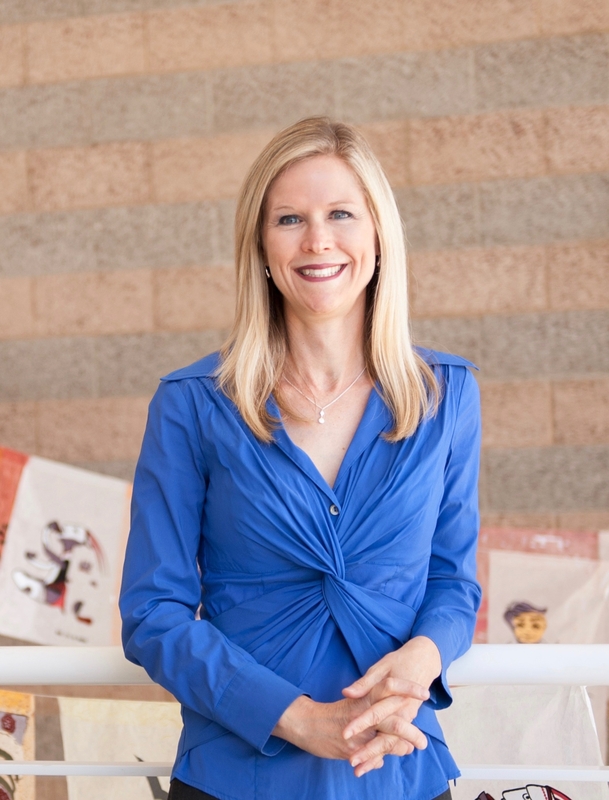 She has led American students in a class called "Politics and Art" abroad in Salzburg, Austria three years in a row, and has published a textbook entitled California Politics: A Primer. She lives in La Mesa with her husband, Charlie ("who faithfully wrote letters and called me weekly when I was in Aix"), her 17-year-old daughter Ava, her 14-year-old son Zach, and their cat Zara. "Living and learning in Aix shaped my habits of thinking and communicating in both obvious and subtle ways, cultivated in me an abiding appreciation for cultural difference, and gave me a lifelong craving for calissons. Next year it will be 30 years since I studied in Aix, but perhaps because I established familiar routines and friendships yet also tried to explore something new every day by confronting unfamiliar spaces and interacting with the people who inhabited them, the most poignant memories still seem fresh. 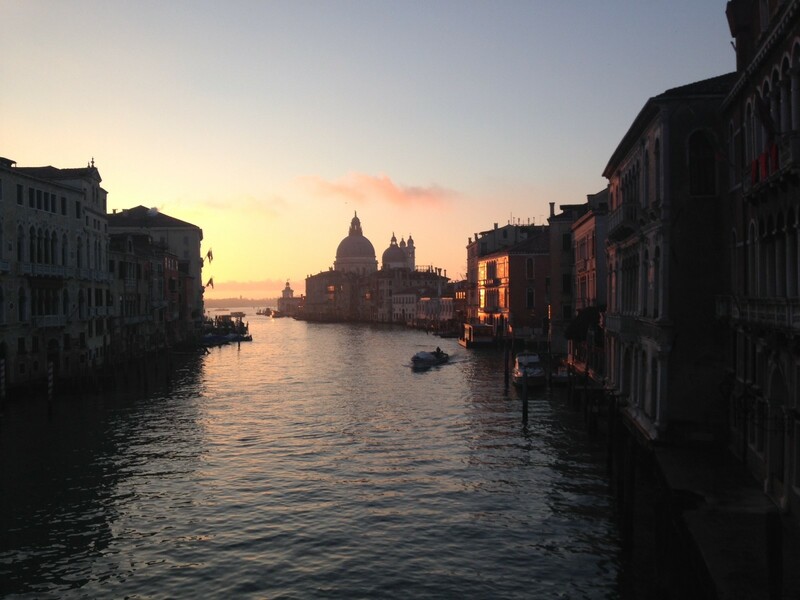 Knowing the transformative effects of study abroad, I'm a more convincing advisor when I tell my students that "getting out of Dodge" and exploring a new country is "a must." "IAU's enduring influence is most evident in the long-lasting friendship between [my French friend] Samia and me. In 1989 IAU had a "French Friend" program whereby French college students would be matched with American (IAU) students for the purposes of acclimating us to the town. They showed us where to grab coffee like a local, where the best nightclubs were, and some graciously invited us to dinner at their homes. Samia had been "assigned" to a classmate but we started hanging out with mutual friends. Later, in November 1989 as revolutionaries triumphed in East Berlin, I hastily organized a trip to witness the tearing down of the Berlin Wall, and Samia and her sister were part of our group of seven who quickly assembled. It took 24 hours to get there and we got the last hostel beds in the city, but it was worth it. We reveled in the joy of liberation, and cheered on those who were chipping and smashing the towering barrier. We really were witnesses to history in the making. "Our bonds sealed through this adventure, Samia and I promised to stay connected when I departed in December, but this was the pre-social-media era when letter writing was the main mode of long-distance communication. We lost touch. "About 7 or 8 years ago Samia and I reconnected through Facebook. We both have kids about the same age, and maybe six years ago she asked if I knew where her daughter could study English. We invited her daughter to stay with us, and we spent a couple of thrilling weeks showing Lana around Southern California. For Samia and me, it was as if our friendship had come full circle--I had a few "wow" moments as I reminisced with Lana about my time in Aix. Two years later Samia and I were reunited after a quarter century; we welcomed her and both of her kids to San Diego (they all stayed with us)! We just hosted Lana a third time this summer, and over the years she has learned to speak English fluently and has become our French daughter and re-supplier of calissons. It's only a matter of time before our families are all reunited in Aix." Thank you so much for sharing your story, Renée! 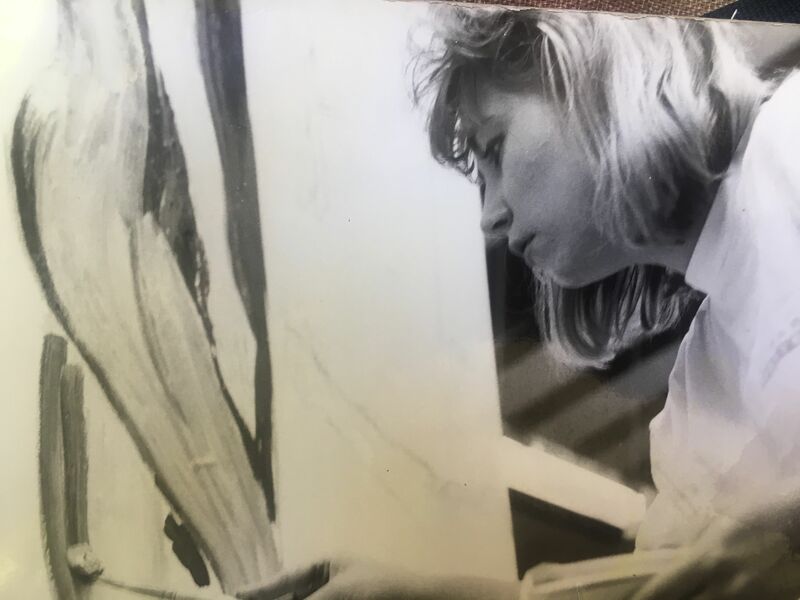 Lisa Abia Smith ('88): "Then and Now"
Lisa Abia-Smith attended IAU and the Marchutz School of Fine Arts in 1988. Now, she is the Director of Education at the Jordan Schnitzer Museum of Art and a Senior Instructor in the College of Design, School of Planning, Public Policy and Management at the University of Oregon. She teaches courses in art education and arts management, including museum studies and access and inclusion in the arts for diverse audiences. Her scholarship, teaching and professional practice centers around providing art education for students who have been marginalized, are from diverse backgrounds, and who have had limited resources or background in the arts. How did your experience at IAU in 1988 influence your life path since then? "Being a student at IAU was instrumental in my professional and personal development. I had never traveled abroad until my junior year and today it remains one of the most pivotal points of my life because it introduced me to a world of beauty, global relations, history, and museums and the arts for social change. It was because of this experience that I returned to campus my senior year and was hired as an ESL tutor. Being an IAU student opened up a new passion for me to teach others about the world around us and use art as a way to not only acquire language skills, but also learn about the world around us. My students were peers from Mexico, Ethiopia, Japan, Iran and Spain. I knew that whatever career I chose, I wanted to learn more about other cultures and forge connections with citizens through art and language. I finished my undergraduate degree in art and 3 years of French language and then pursued a graduate degree in Museum Studies. Living in Aix and studying with the IAU faculty provided the confidence and clarity I needed to pursue my professional path.I also developed friendships with fellow IAU students and French students studying in Aix and am in close contact with them still today after 30 years." How did your experience of IAU inform your decision to bring a group of your students abroad? "That seed was planted 30 years ago when I was taught by Alan [Roberts], John [Gasparach] and Billy [Weyman]. I don't think faculty realize the impact they make on their students. I knew that my experience at IAU had provided me with the gifts I have today to be the professor I am and I wanted to give that same opportunity to my students. My time broad was so powerful for me and my development and I had always hoped to provide that same experience for my own students one day. I hadn't been able to return to Aix since I was a student there so when I returned in 2017 to research a study abroad for my students, I felt like I had come home. I knew the magic of Aix, Marchutz and the IAU campus would be an experience my students would embrace." 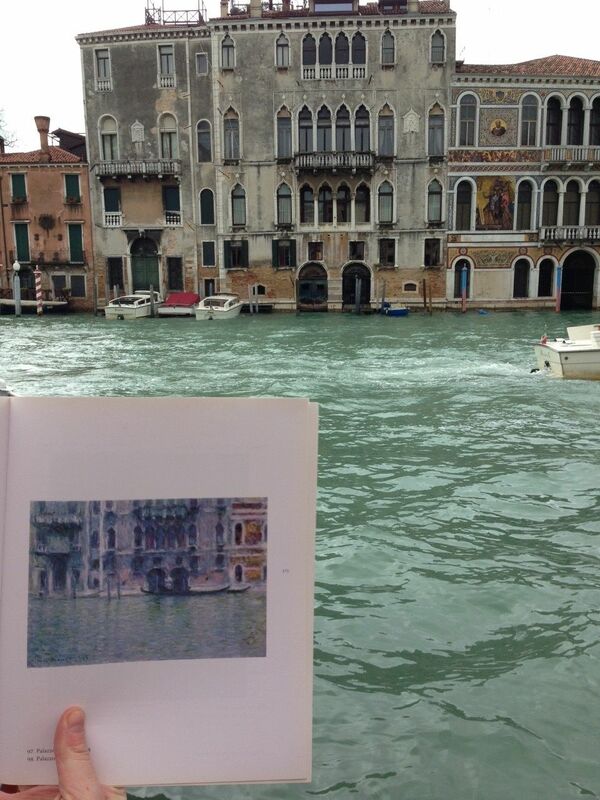 Why do you think it was especially important to bring a group of athletes abroad to study art specifically? "Many of the students I teach have never been able to leave their hometown or travel because of financial constraints. Now in college, they have financial and time restraints because of their schedules playing a sport at the D1 level or working full time to support themselves. I became aware of the national statistics of the demographic of students in the U.S. who study abroad and the GEO program at UO has made it a priority to provide more opportunity to students of color. "As an art educator, I have been fortunate to see the value that the arts provide, particularly to students who have had limited exposure and need an outlet for self-expression. Student-athletes have such rigorous schedules and are unable to participate in traditional study abroad programs so creating an immersive and compressed schedule between spring term and summer school made it accessible and doable for them. "Art is the vehicle for me as a professor to forge connections with my students and an instrument that gives students a forum to process ideas, feelings, trauma, hardships, and stress. It is also a window to understanding the world around us. So much about my teaching and this program is about misinterpretation and misperception. As a society we tend to live in places where labeling and classifying one another is commonplace. It is easy to judge and make assumptions about someone based on appearance or their interest. For student-athletes, many are seeking opportunities where they can educate the public about their real and true identities. How did the program turn out? Would you consider bringing more students abroad to IAU and Marchutz in the future? "The program exceeded my expectations as well as the students'. We created a group text while we are over there and although the program is over, we all continue to dialogue about it. It is powerful for me to read their messages about what they took with them and the impact IAU and study abroad made on them. "Art is one of the few instruments that levels the playing field with students. There is such a misperception that you have to be a formally trained artist to reap the benefits or to understand and make meaning out of works of art. As a museum professional, I see the myth that museums are only for the elite and scholarly. 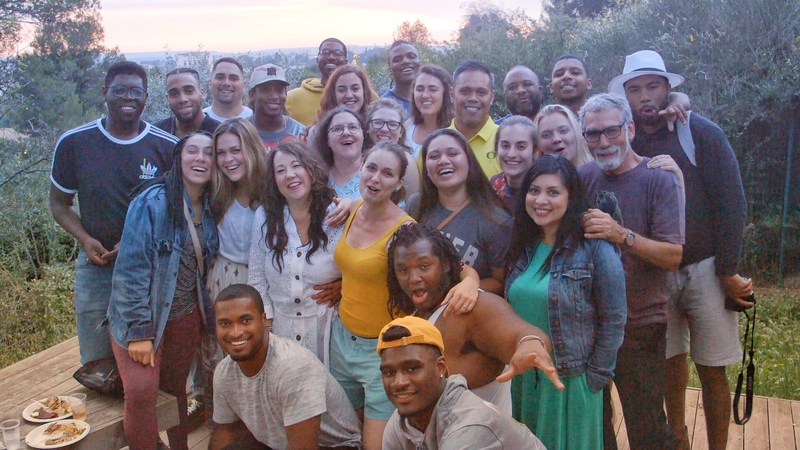 It is my passion and charge to correct that misperception"
Lisa will be bringing another group of students from the University of Oregon this Summer 2019 to continue her program entitled, "Exploring Identity, Place, and Representation through the Arts in Aix-en-Provence." The University of Oregon created a video for last year's program, which you may watch by clicking here. "I was a nontraditional student when I attended IAU, having moved with my little family to Aix-en-Provence to do the year abroad I’d always dreamed of. Unlike most of the students in my program, I was in my 30’s and had a husband and a ten-year-old daughter. "We all loved our experience living in Aix. We made a decision when we arrived not to stay cloistered with the expat community, but rather to make French friends and begin a real French life, which we did. This was especially important as we were living just outside of town in a little house on Chemin de Bibemus and not with a host family. "Our daughter attended CIPEC and became easily comfortable in French after just a few months: such is youth! And her accent was perfect. Her French life was quite different than life in California, too. Attending “Booms” for birthdays was something unheard of in her age group at home, and she loved making friends from all over the world. 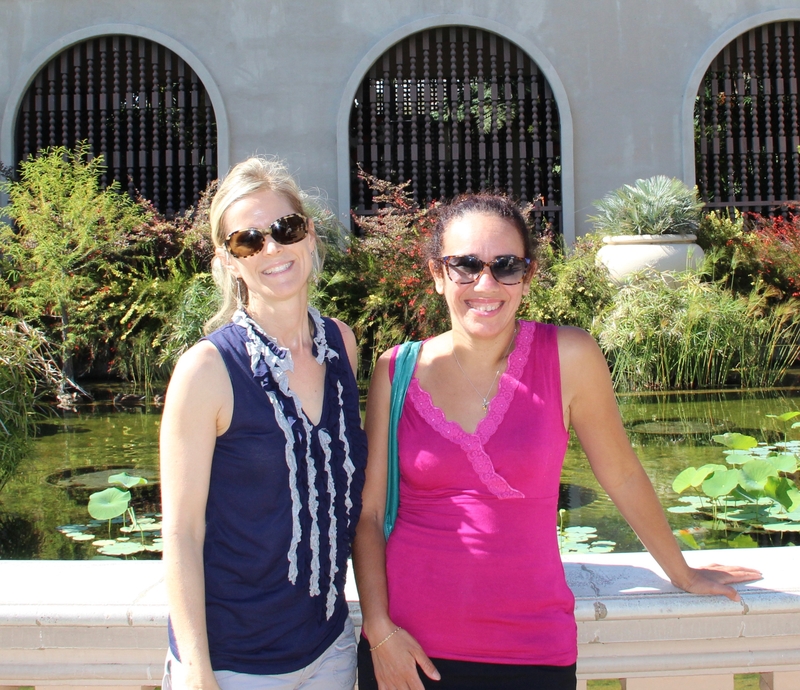 "After living in Aix and attending IAU we returned to California and I completed two degrees at Stanford University: AB Linguistics and AB French. I taught AP French at Woodside High School for 3 years and worked as a French Language web editor for a big company in Silicon Valley. 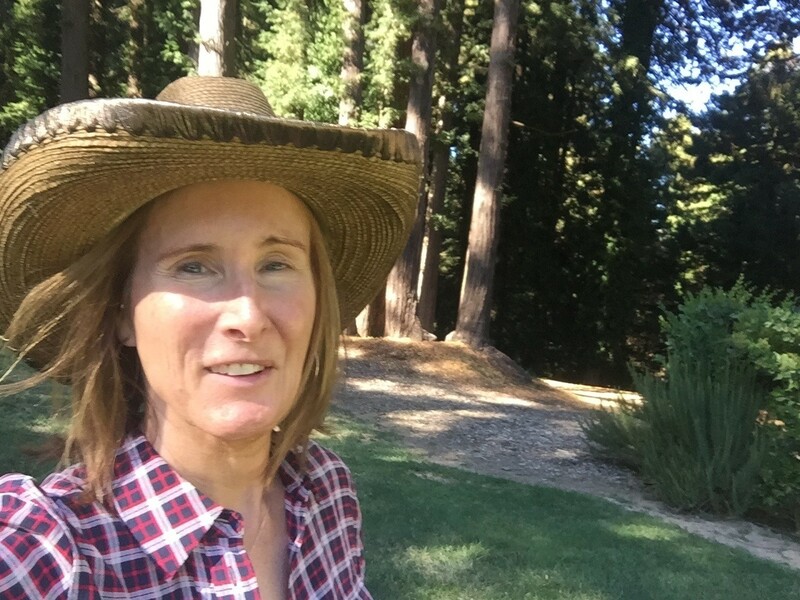 "These days I am an environmental advocate in counties south of San Francisco in the Bay Area and I have been an active volunteer for over a decade. "My experience at IAU changed my life irrevocably. I routinely speak French with friends here and abroad, read French, write French, and watch French television. Knowing a second language caused a wonderful new world to open for me, and for our family." Since sending us the above story, Nancy was elected as county commissioner in the Harbor District of California with 112,000 votes. Congratulations and thanks for sharing about your experience, Nancy! 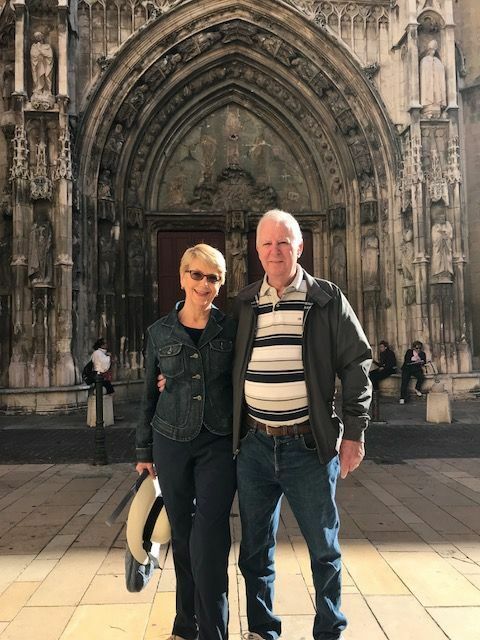 From September 28 - 30, 2018, David and Rosemary Glatzel returned to Aix to visit their French alma mater, where they were both students in 1960 - 1961. They met with Professor Cathleen Keenan and Vice President Philip Breeden and checked in to see how the IAU was doing. 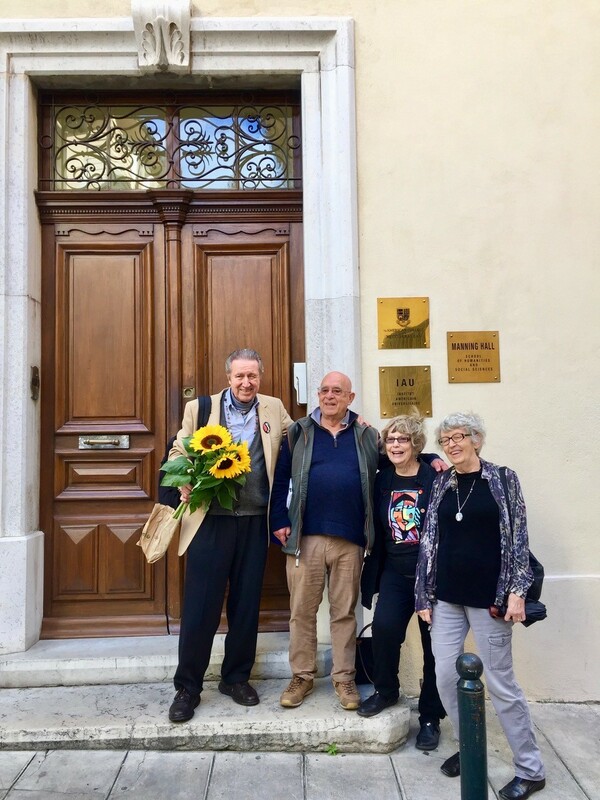 David and Rosemary shared stories and memories of their time with IAU during their visit, and shared with the IAU team that they now have four grandchildren. They remarked: "They are her because of the IAU!" David and Rosemary now live in Charleston, South Carolina. Thank you so much for stopping by! 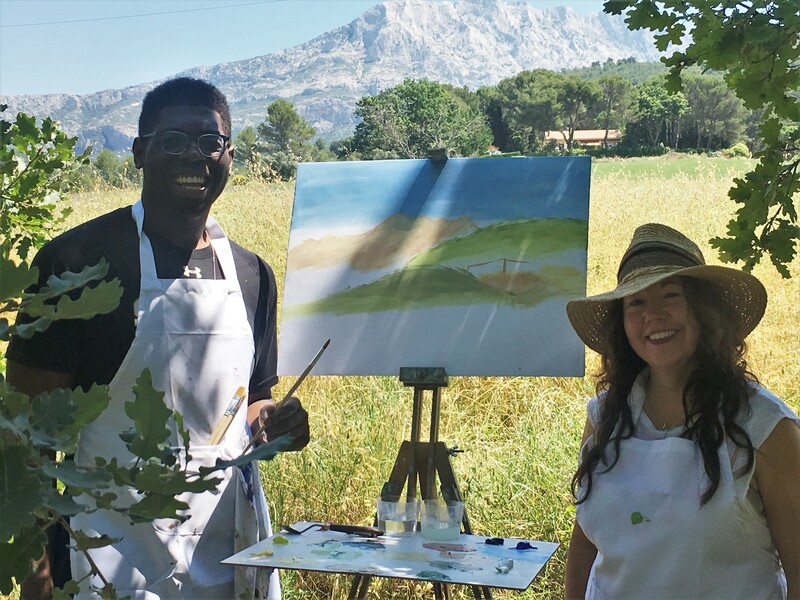 IAU now offers master's and bachelor's programs at its campus in Aix-en-Provence, France in a variety of subjects, including Fine Arts, French Studies, International Relations, and Art History through its degree-granting branch, the American College of the Mediterranean. If you have been dreaming of returning to Aix, now is your chance. Click below to learn more or begin an application. The IAU Alumni Ambassador Program was established in 2010 so that former students could share their study abroad experience with prospective students, faculty, and study abroad office personnel on their home campus, as well as connect with other alumni to keep the IAU network strong. IAU Ambassadors are drawn from all IAU programs, academic disciplines, and class years. All alumni are welcome to join the Alumni Ambassador Program. For additional information, please contact IAU Admissions Coordinator, Arianna Zabriskie. To begin an application, please click here. IAU hosts alumni receptions each year in various cities around the U.S. These events rely on the generosity of our alumni and partners, and the city where we choose to hold events usually depends on where we have someone willing to donate their time, energy, and space. Are you interested in hosting an IAU alumni reception in your city? Contact alumni@iau.edu or call 1.800.221.2051 to discuss possibilities. There are many ways to donate to IAU. Regardless of the amount or the form that a donation may take, IAU is deeply humbled by the action itself. Whether donors wish to honor or commemorate an individual, or contribute to buildings and classrooms through IAU's Naming and Legacy Opportunities, or help ensure the excellence of IAU programs for future generations of students, we invite potential donors to consider and select one or more of the donation opportunities listed below and on the IAU website. We sincerely thank you for your support. Consider supporting IAU on Amazon Smile. You shop how you normally would on Amazon.com, and a percentage of the proceeds goes directly to IAU. In honor of Yamina Boudellal, for her forty-six years of untiring and devoted service to the students of the Institute for American Universities, a scholarship fund has been opened to assist students in studying abroad with IAU. 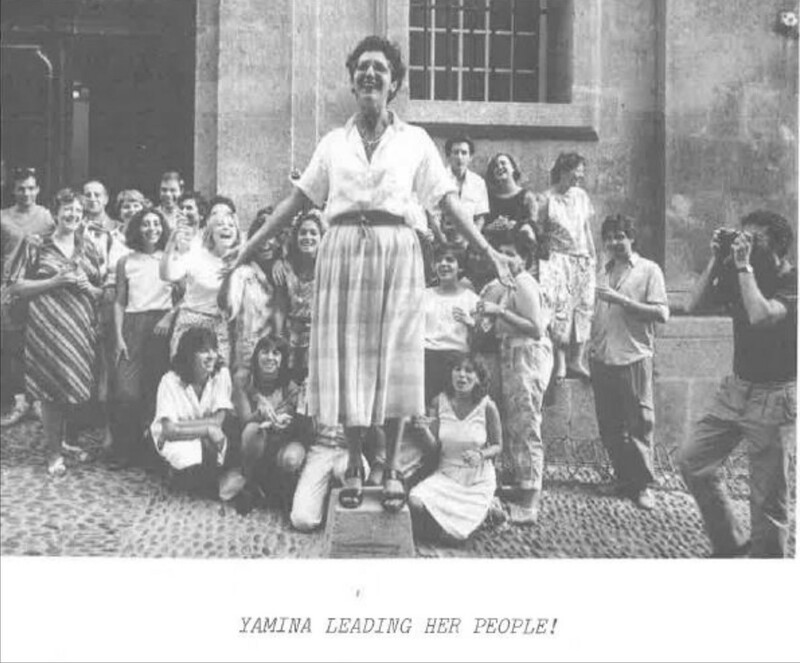 Yamina's love of IAU will always inspire us! Since the scholarship fund was created in May 2017, we have raised over $15,000 to help send underrepresented students abroad! Contribute now to support this effort. IAU is extremely grateful to our alumni and other supporters who have remembered the Institute with a gift in their will. The Mont Saint-Victoire Legacy Society is an association for donors who have included IAU in their estate plans through some form of planned gift or other charitable donation. For more information about remembering IAU in your estate plans, please contact Kurt Schick, Dean of Alumni Affairs. Do you have any updates or information you would like to share in the next alumni newsletter? Contact alumni@iau.edu or call 1.800.221.2051 to share your store. We'd love to hear from you!